Google Inc, creator of the world’s most popular internet search engine, has developed its own web browser to challenge Microsoft Corp’s dominant Internet Explorer. A test version of new software, named Google Chrome, will be available for download on Tuesday in more than 100 countries, Google announced on its corporate blog on Monday. The company said its aim was to deliver a faster, more user-friendly and safer browser. 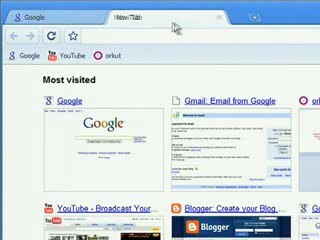 Web browsers are programmes that allow computer users to navigate the Internet. If Chrome is well-received, Google – which is already the top earner from online advertising and also offers programmes and services from e-mail to office software to virtually the entire globe – would further solidify its position in the industry. At the same time, its browser was sure to be closely examined by privacy advocates because Mountain View, a California-based company, has been accused of collecting too much data on its customers. Once a domain name leaves the REDEMPTION PERIOD status it goes into PENDING DELETE status. Under most circumstances, a registrar will not allow for you to renew yoru domain name once it has reached PENDING DELETE status. There are some rare exceptions (and it also depends on the registrar). Under rare circumstances, a domain will not enter the PENDING DELETE status and will be dropped immediately after being removed from REDEMPTION PERIOD. A domain name will drop, and become available for registration six days after it changes status to PENDING DELETE. Under some circumstances, a domain name can drop in 5 days instead of 6. Once a domain name leaves the registrar-hold status it goes into REDEMPTION PERIOD status. Although the domain has technically expired and gone through REGISTRAR-HOLD status, the owner still has the opportunity to renew it for at least 10 days (usually). Under rare circumstances, a domain will not enter the REDEMPTION PERIOD status and will be dropped immediately after being removed from REGISTRAR-HOLD. Depending on the registrar, a domain name can remain in the REDEMPTION PERIOD status anywhere from 1-35 days, with 30 days being the average. Once a domain name expires, it will usually move to the REGISTRAR-HOLD status. Although the domain has technically expired, the owner still has the opportunity to renew it for at least 30 days (usually). Under rare circumstances, a domain will not enter the REGISTRAR-HOLD status and will be dropped 1-5 days from its expiration date. Depending on the registrar, a domain name can remain in the REGISTRAR-HOLD status anywhere from 1-45 days, with 30 days being the average. Immediately upon registration a domain name becomes ACTIVE, meaning that it is not available for registration. It may take anywhere from 1 hour to 48 hours for the whois record to be updated for a newly registered domain. While registrations take a fraction of a second, updating the whois record usually requires some time. Under most circumstances, a domain can be active for 1-10 years depending on the duration of the registration selected by the user. During the ACTIVE state a domain name can be transfered from one registrar to another.